Canada and Manitoba are spending $540 million to build flood mitigation channels on two lakes in a flood-prone area, but First Nations in the region aren’t sure the plan holds water. 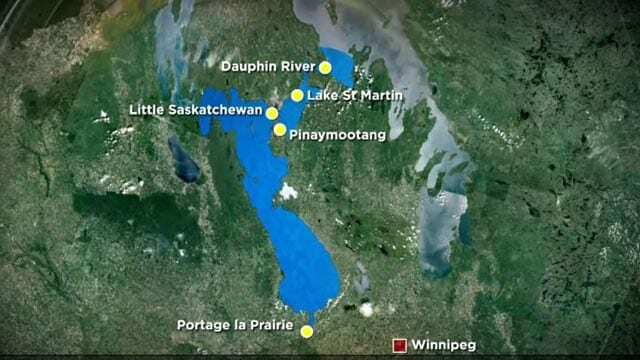 In 2011 the communities of Pinaymootang, Little Saskatchewan, Lake St. Martin and Dauphin River First Nations were evacuated when then-premier Greg Selinger ordered the area flooded in order to spare the City of Winnipeg. As many as 2,000 people still haven’t returned home, displaced in Winnipeg and small towns and disconnected from land and family because the reserves haven’t been completely relocated or rebuilt. 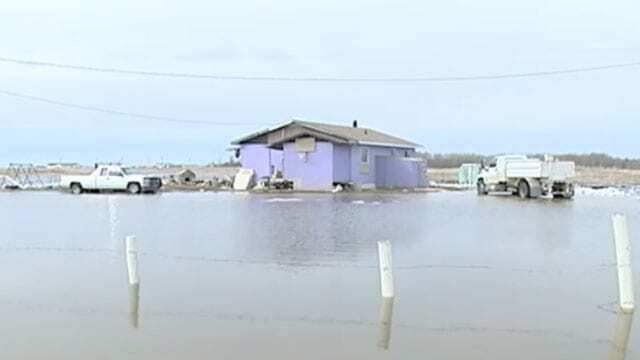 Little Saskatchewan Chief Hector Shorting said the government’s focus should be on fixing what’s still outstanding from the last major flood. They’re still wrangling with the province over land easements and more than 100 residents haven’t been able to return to his reserve because their homes were destroyed and not enough replacement homes have been built. “I’m not open to any agreements at this point because there’s still a lot outstanding (from 2011),” he said, of the planned outlet channel on Lake Manitoba to Lake St Martin and another channel built on Lake St Martin to Lake Winnipeg. Flooding in Lake St. Martin. 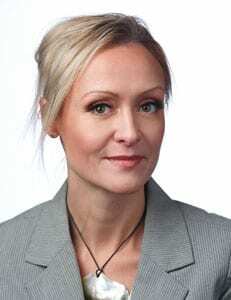 But Premier Brian Pallister said a 1950s report, which sat on a shelf for 60 years, recommended building an outlet on the northern end of Lake Manitoba. It was a 2016 election promise by his party to get it done. It affects many landowners and farm operations in the region, many of whom were on-hand Monday to applaud the announcement. Absent were First Nations leaders. “A lot of Interlake chiefs oppose this because they feel it will flood their communities still,” Shorting said. Cornell McLean, chief of Lake Manitoba First Nation and chairman of the Interlake Reserves Tribal Council, says while he thinks the proposed channels will help with future flooding, he feels it was an end-run by the province around finishing the business surrounding flooding in 2011 and 2014. He said the land Lake Manitoba First Nation is on is too saturated from years of flooding to be used. The stalled land swap delays rebuilding. He said other communities are being pressured into accepting proposed easements in order to get in on the Comprehensive Settlement Agreement. Earlier this year Manitoba and the federal government agreed to a $90 million settlement with Pinaymootang, Little Saskatchewan, Lake St. Martin and Dauphin River First Nations. Payments of the settlement are based on the number of people that come forward to make claims so it is still unknown how much eligible evacuees may receive. The flood was one of the largest and most expensive the province of Manitoba has ever seen. Pallister said this flood mitigation announcement will prevent future catastrophes in the region but he didn’t say specifically, First Nations communities, which is the fear of many chiefs, said Shorting.